I have some news for you about the Earth Month. Some of you may know this but if you missed it. Instead of one day (the 22th of April) the whole month of April has the focus on helping our Earth with her environmental issues. Aveda is one of those brands that continuesly tries to raise awareness for different environmental projects all over the world. It's a cosmetics brand with high quality products for hair and skin. The products consist of organic ingredients and are manufactured with 100% wind energy. Totally green! 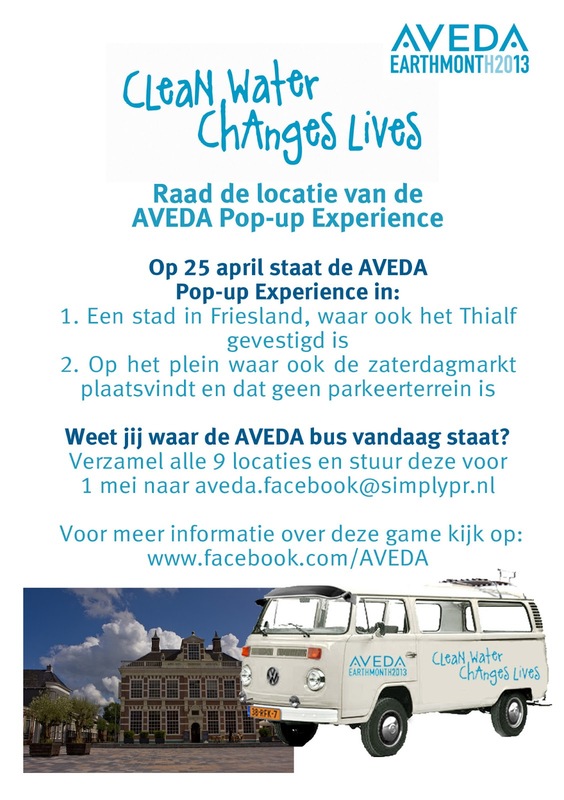 Every year Aveda has an event called the Aveda Eart Month and this year Aveda introduces the Earth Month Pop Up experience; a mobile service to relieve you from your daily stress and all for a good cause. We like that! 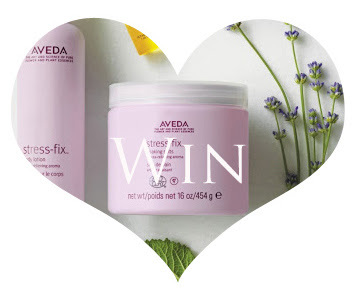 You can relax and sip a cup of tea while having a true Aveda massage ritual in exchange for voluntary donations. 100% of the proceeds go to the Global Fund Grants Green. 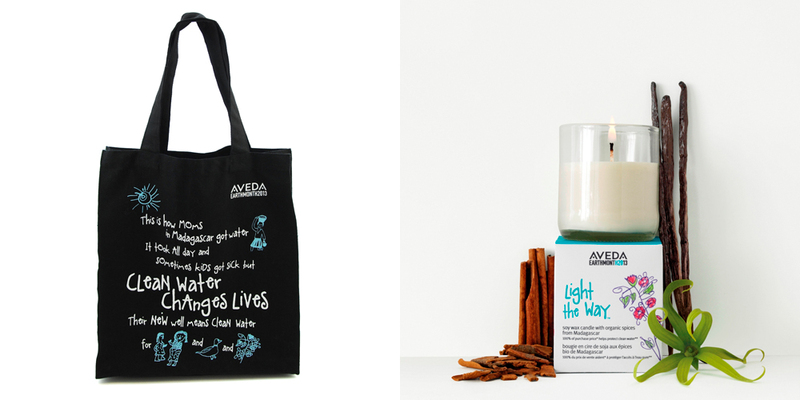 And if you like to donate more, you can purchase the Light the Way Candle for € 15,- or the organic AVEDA Earth Month Shopper for € 3,50. But wait! As a reader of the SOYL blog you also have the oppurtunity to win the Stress-Fix Soaking Salts (€41,50) Made to release some stress with the sweet aroma of lavandin, clary sage and french lavender. The only thing I would like you to do is drop a note on how you think we could contribute to the environmental issues in our daily lives. And of course; don't forget your name and email adress. One of the projects that was sponsored solely by the profits of the Light the Way Candles. Clean Water Saves Lives. - Put a bottle of water in your fridge; this way you always have cold water and you dont need to spill the extra water waiting for the tap to get cold. - Flush less often. I know this sounds pretty gross but if you drink a lot and go to the bathroom often, with a waste of 6 liters of water per flush, it might not sound so wrong to flush every other go. Hope I havent scared you off with those last two gross (but hopefully helpfull) tips, haha. Hi Anne! No not at all! You have some great tips and ok I'll admit the last ones are a bit out of my comfort zone but never the less veryyy valuable! Thank You for your tips and you will hear from me soon.